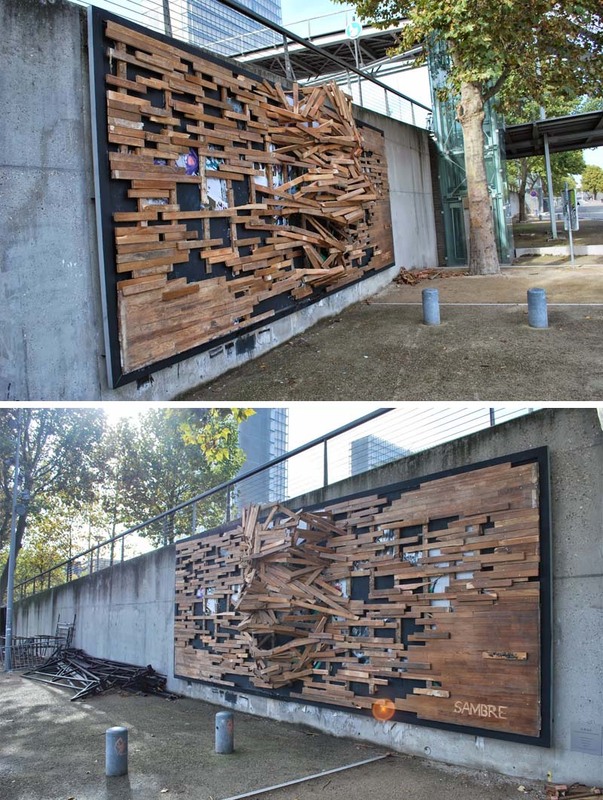 French street artist Sambre recently finished a new work at Le MUR XIII in Paris (looks to be a similar situation to NYC’s Bowery Mural with alternating artists’ works throughout the year) in the 13th arrondisement. 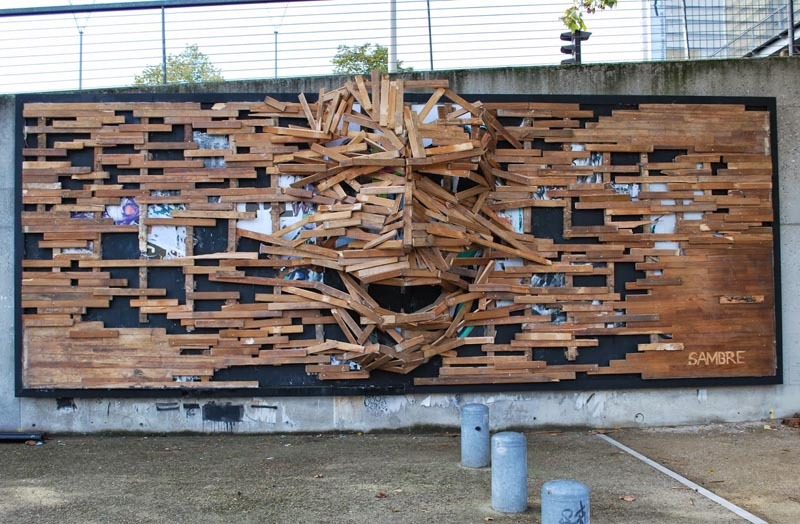 Using found wood, the artist superimposed a sculptural piece with a protruding face at its center over the previous Le Mur XIII mural. 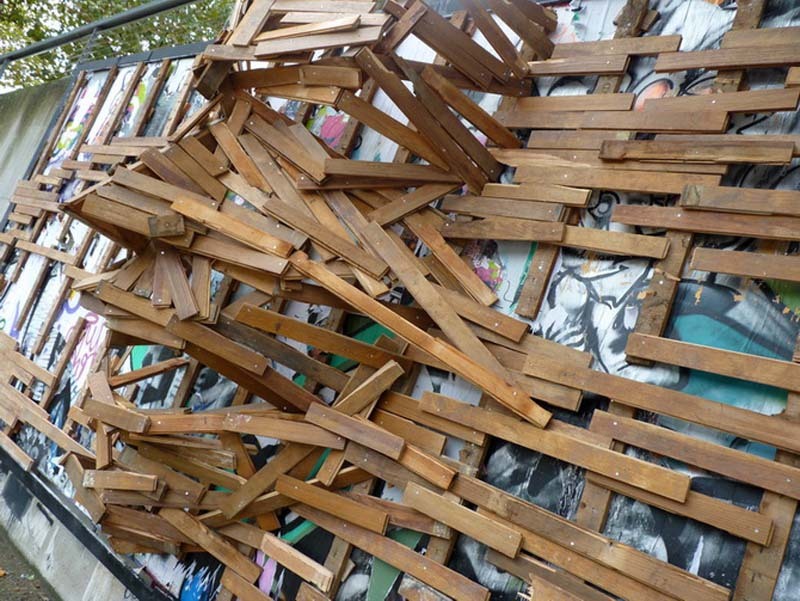 Sambre had previously created an impressive installation in wood at Les Bains Douches (if you have a couple of minutes, check out the video below, it’s kind of amazing) this past summer, but this appears to be his first outdoor wooden piece. Though (I’m pretty confident) not at all Sambre’s intention, this work seems fitting to post on the anniversary of Hurricane Sandy. It almost looks like the storm personified, down to the ripped apart boardwalks. To all who were affected, and the tough year they’ve been through, here’s to a better year ahead.